ANIMATION STUDENTS! If you are attending CTN-X this weekend, make a point to arrange to be available Saturday between 4 and 6 or Sunday between 3 and 5. Story Artist/Designer JoJo Baptista and Director of Education Taber Dunipace will be conducting portfolio reviews that you can’t afford to miss. Big studios will review your portfolio, but they won’t necessarily give you an honest critique to help you figure out what skills you really need to develop to be employable. That makes sense. The job of a studio recruiter is to find qualified candidates, not to help out unqualified ones. 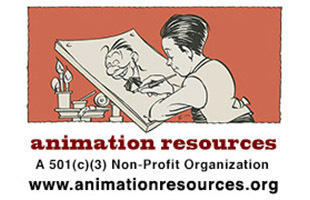 But Animation Resources’ sole purpose is to help young artists make the transition from gifted student to skilled professional. You need to talk to us! Taber and JoJo are uniquely qualified to offer you guidance and advice, and they’re motivated to help. So if you go to other portfolio reviews at CTN-X and get turned down, come to ours and we will tell you how to get hired next time. Stop by Animation Resources’ Table T239 before 2pm to get on the list.